Author Kristin Hannah has a knack for creating vast sweeping sagas spanning multiple generations in a family’s story. 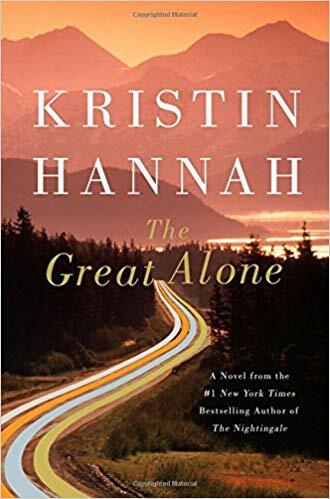 In The Great Alone, Hannah crafts the story of teenager Leni Allbright who is growing up the the Pacific Northwest in the early 1970s. Leni’s father, Ernt, has just returned from the Vietnam War and is struggling with his life back in the United States. Her mother, Cora, attempts to cope as best as humanly possible, but struggles with trying to navigate a new life with her husband and growing daughter. Soon after Ernt returns from the war, he is informed that one of his soldier friends, who was killed in Vietnam, has left him a large swath of land in Alaska. Without much forethought, Ernt announces to his wife and daughter that they are packing their van and heading from Washington state to Alaska. After arriving in Alaska, the trio quickly realize that living in the wild will not be as easy as they initially thought and they are woefully unprepared. They befriend a group of folks, some Alaska natives and some with the same dreams as they did upon their arrival, to live on their own terms. It soon becomes clear that the scars of war are still affecting Ernt and his mental health continues to deteriorate as the dark and cold winter approaches. Before too long Leni and Cora become isolated, both mentally and physically, by Ernt. When a small dispute arises with the neighbors and escalates, Leni has to choose sides, with possibly treacherous results. Although the story is set in the 1970s, many of the issues facing the Allbright family align with events that are current in today’s world. The Great Alone isn’t always an easy read and the characters face choices that are part necessary and part catastrophic. 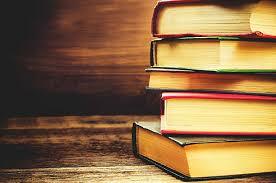 In the end, a novel that is well worth the investment.